Superabsorbent hydrogels are polymeric materials known for their ability to absorb and retain large amounts of water or aqueous solutions. Due to their unique properties, hydrogels have been useful in disposable diapers and other sanitary products, and in a range of other fields including agriculture and oral delivery of drugs, nutraceutical compounds or other bioactive molecules. The primary aim of this review is to provide an overview of several synthesis pathways for bio-based hydrogels by describing several chemical crosslinking methods and different ways of introducing new chemical functional groups to improve the absorbency of the polymers. In addition, bio-based superabsorbent hydrogels from proteins, carbohydrates and other biological molecules will be discussed, along with some of their applications in treating wastewater contaminated with heavy metals or as soil amendments in agriculture. 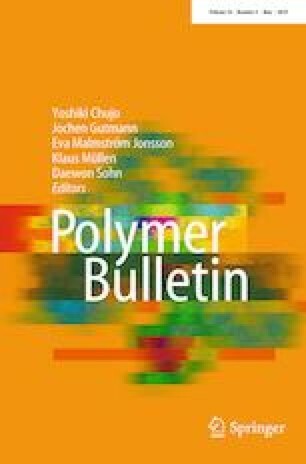 Finally, some bio-based self-healing polymers and their respective applications will be covered in some details. This work was funded by the Natural Sciences and Engineering Research Council of Canada (NSERC).